Small Business SEO Services: What Exactly Do You Get? Have you ever bought one of those giant bags of chips that looks like it's exploding with greasy, salty goodness? 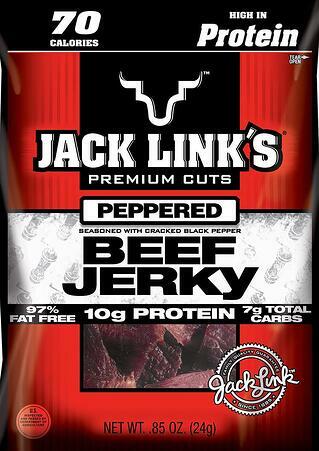 How about a bag of beef jerky stuffed full of deliciously chewy meat scraps that make you feel like a hyena tearing into a leathery carcass on the savannah? Alas, when you tear open your bag of chips, you find out it was mostly stuffed with air. And there are only enough strips of meat leather to fill up the little window on the bag. You are irritated, but you eat them anyway because you already spent the money. And then you move on with your life, and vow to never again spend that much money on overpriced snacks (until the next time you get a hankering for salty goodness and your resolve is broken). The good news is, although we may be perpetually disappointed by the volume of snacks in our bags, you don't have to be disappointed in your SEO services. So you're doing research on small business SEO services. Maybe you've attempted SEO yourself and didn't see any results. Maybe you've never done it before and want it done right the first time. Either way, you want to know what services you're going to get for your SEO investment. All SEO service providers are different. Some only offer SEO, some do search engine marketing (SEO and PPC), some offer content marketing with your SEO, and some do the full spectrum of inbound marketing (of which SEO is only one small piece). Your choice of provider will depend on how you want to grow and market your business. If you're looking at a long-term, fully integrated marketing plan, it can be more efficient to get all of your marketing services from one provider. If you're only dipping your toes in the SEO waters, you may find it more fitting to hire a specialized SEO company. Either way, here are the services you can expect to receive from your SEO provider. We've included information on content marketing (since we do offer a full spectrum of services), but your company may or may not provide that service. This audit will also identify any bits of code or pieces of content that are difficult for Google to read. If Google can't understand something on your site, it won't be indexed in the search engine. We wouldn't be very useful if we jumped in blind. A good SEO provider will learn all about your company, its goals, where you fit in your industry, and how to make your SEO work for your specific needs. This means we need to know all about you AND your direct competitors. The state of your competitors' SEO can tell us how to get you to their level, and eventually surpass them. It's also helpful to understand your niches and special offerings, as these things can direct our keyword research. Keyword research involves quite a bit of creativity. Your SEO provider needs to get into the heads of your best buyers and figure out what they're searching for and when. They'll need to figure out what keywords you're currently ranking for and which ones would be helpful to get on your radar. Long-tail and short-tail keywords are both very important for small business SEO, though long-tail keywords bring the most results for small businesses. If you're doing pay per click advertising along with your SEO, negative keywords are an absolute MUST. Negative keywords are keywords that you choose to opt out of so your ads aren't shown for irrelevant terms. Search engine marketing is all about relevance. "Going in through the front/back" in our industry refers to how you access a website. The front door is what your customers see: your homepage, navigation, etc. just as a regular Internet user will experience it. The back door is how you or your web dev will access the site to edit code or content. The back door is for site administrators only. Front end SEO means making changes that your customers will see. This includes editing content, changing the navigation, adding links, doing a redesign, etc. Google will understand some of this, but the main benefit comes from the user experience. Happier users means a lower bounce rate, higher session times, and more pages visited per session. These metrics affect your page ranking in Google. Back end SEO means making changes that only the search engine will look for (users can find some of these things, but the average user isn't interested). This means providing XML sitemaps, optimizing URLs, adding alt texts to images, optimizing titles and metadescriptions for pages and blog posts, etc. Google uses this information to help index your site and display it in relevant search results. On-page SEO refers to the front and back end optimization above. These are things that you can control and easily tweak as needed. Off-page SEO is a lot more difficult. Off-page SEO generally consists of inbound link building and social media marketing. Inbound link building means NOT buying, begging, bribing, or otherwise being shady to get links. Links should be grown organically - that means you need great content that other people want to link to. We'll talk about that more in the content marketing section. Local listings are incredibly important for small businesses. Let's face it: most of your business will be coming from your state and the closest adjacent states. The people who live in and visit those areas need to be able to find you in search results. When people do specific local searches (e.g. "insurance providers in Bradford, PA") they're more likely to take action and make a purchase decision than in non-location-based searches. Local searchers are often looking for contact information, physical addresses, hours, and product availability. At least 50% of local searches result in a visit to the physical location within a day. For some more info on optimizing your local SEO, check out this blog post on SEO for small business. Search Engine Watch reports that as many as 80% of mobile searches convert. Searches from mobile devices are often made on the go, when the searcher needs information quickly. A large portion of local searches are performed on mobile devices. Responsive design can be the difference between making a sale due to that spontaneous need for information, and losing a potential customer due to your unoptimized website. Content marketing is your powerhouse for building inbound links and social sharing (in other words, off-page SEO!). Some SEO agencies will provide content marketing with your SEO, or can at least point you in the right direction to do it yourself. Content marketing requires, first of all, high-quality original content. No copy-pasting from other people, no duplicating your own content, but relevant and valuable information for your buyer personas. Your high-quality original content should also be optimized for SEO. That means proper usage of keywords in titles, headings, content, image alt text, etc. It also means using media that Google can understand, and that won't slow down your site. Further, you should be producing high-quality original content on a regular basis. Somewhere between daily and weekly is best, though monthly will do if you really don't have a lot of time. If your SEO agency offers this service, you won't have to worry about writing or publishing content on time. Did you know Google's algorithms change hundreds of times a year? Many SEO experts believe Google makes changes multiple times a day, though Google only admits to 300-400 changes annually. For the most part, these changes are tiny and unnoticeable. Google announces big changes a few times a year - here's a timeline of the most important algorithm changes since Google's inception. An expert SEO services provider will be up to date on the latest algorithms, and will be watching for ranking dips that can indicate a new algorithm change. Part of our job is catching those dips before they become a real issue (rankings constantly fluctuate due to a number of factors - a small dip is nothing to worry about) and making changes to balance them out. Your SEO agency is dedicated to you. They'll be constantly looking for ways to improve SEO: ranking opportunities, link-building opportunities, A/B testing, and anything else that can make your site rank higher in Google. "Frequent" means different things to different people. Some of our clients are so hands-off with their SEO that they only want reports on a yearly basis! The frequency of your reporting should be up to you; if you ask for weekly reports, your SEO agency should be able to provide them. If they refuse for any reason, well, that's just poor customer service. Generally, most of our clients prefer bi-weekly or monthly reporting. However, we are happy to offer weekly reports if that works best for the client. What can small business SEO services do for you? SEO services can help you grow your business, increase brand awareness, and bring in more leads. We know it works - our clients are happy, we're happy, and we want to make you happy with your online presence.